ISLAMABAD: Pakistan’s esteemed media organisation, Jang Media Group, has won the prestigious Innovation Challenge Grant by Google, the only media group in the country to have secured the coveted spot. 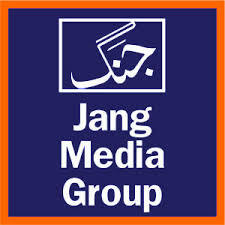 Under the Google’s Innovation Challenge Grant, over 215 news organisations and technology companies were considered from the Asia Pacific region, and Jang Media Group is by far the only organisation selected from Pakistan. As part of the project, while in collaboration with Google, the Jang Media Group will develop state-of-the-art Artificial Intelligence (AI) and Augmented Reality (AR) platforms for digitising its historical news archives. The project is similar in scale and ambition to the New York Times collaboration with Google in transforming its news archives. The Google Innovation Challenge Grant will further strengthen the collaboration between the Jang Media Group and Google. Jang Media Group has previously been showcased twice as a global example of innovation in Google Developer Conferences in 2016-2017. News organisations worldwide are going through a radical digital transformation. Technologies for creating, curating and disseminating news are evolving at a fast pace. Platforms for access to timely information, engagement with the reader and innovative monetisation models are becoming vital for news organizations globally. At the same time, in the face of fake news and unmoderated social media content, news organisations need to uphold high journalistic standards while retaining user interest.